The history of Brand goes back to the middle ages. 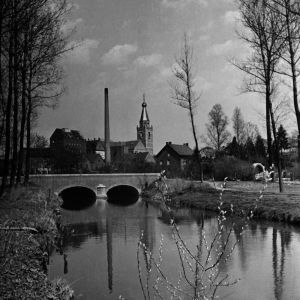 It is known that as early as 1340 beer was brewed in the village of Wijlre in the Maas area. In those days, Wijlre had the status of a “rijksheerlijkheid”. The owners of this “rijksheerlijkheid” – the ‘lords’ of Wijlre – were the only ones to have the privilege to brew beer. This meant the beer could only be brewed in Wijlre itself, in the brewery of the Lord of the Manor. In addition, the beer could not be sold outside the village boundary. 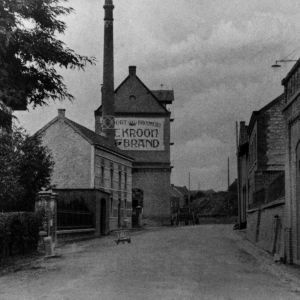 Based on the historical facts Brand Brewery is considered the oldest brewery in the Netherlands. Little is known of the early history. However, from the scarce archive documents it is known that in 1743 the brewery was completely destroyed by fire. 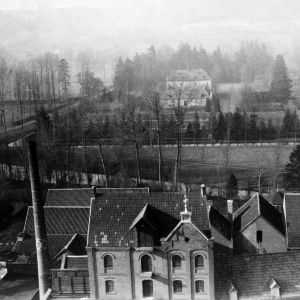 After the fire, the brewery was rebuild on the site owned by the family Tack, which is exactly where the brewery now stands. With the arrival of the French, in 1795, the status of the “rijksheerlijkheid” stopped including the privilege to brew beer. The rights to brew beer were now open to everyone so this is when the brewery came into the hands of Jan Pieter Tack. In 1803, Tack and his wife Maria Catharina Widdershoven bought the brewery operation and the house ‘De Kroon’ next door. 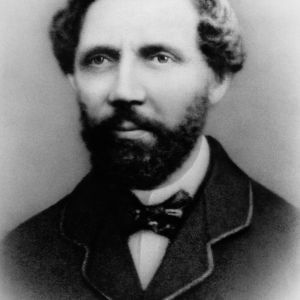 On 23rd December 1871 the railway engineer Frederik Edmond Brand bought the brewery in Wijlre. Brand and his wife Anna Brand-Pluymaekers were both from South Limburg and this was an opportunity for them to return to their birthplace. With this purchase, Brand had become the owner of a traditional top fermentation brown beer company. Anna Brand primarily looked after the brewery interests while Frederik’s preferences were more directed towards his own civil engineering profession. When Frederik died in 1882 his widow Anna was perfectly capable to continue running the business. In 1896, 15 years later, their sons Henri and Mathieu after completing their training took over the brewery. The Brand brothers had followed a brew technical training and both decided to innovate. A steam boiler (6 p.k.) was bought to use steam power to drive the mash-staffs in the kettles. This meant the manual stirring was outdated. The capacity could be increased from 75,000 to 600,000 litres in 1903. 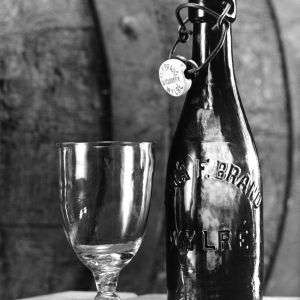 Through modernization in many areas, the Brand brothers brewed a good quality beer with a longer shelf life, which could be transported over longer distances. 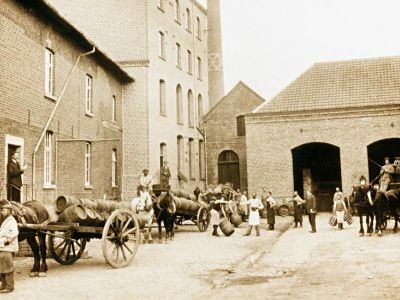 For the first time in 1900, Brand Beer was exported to Maastricht. 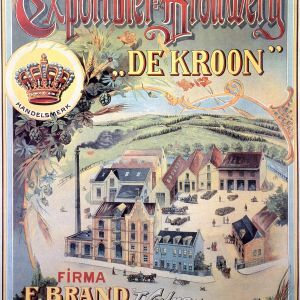 The company then received the name ‘Exportbrewery De Kroon’.